Grilled cheese sandwich snacks for game day! Break out of the ordinary appetizer routine by making miniature grilled cheese sandwiches the next time you have a house full of guests. These three satisfying grilled cheese sandwiches are sure to satisfy your guests. Brush both sides of the bread with butter. 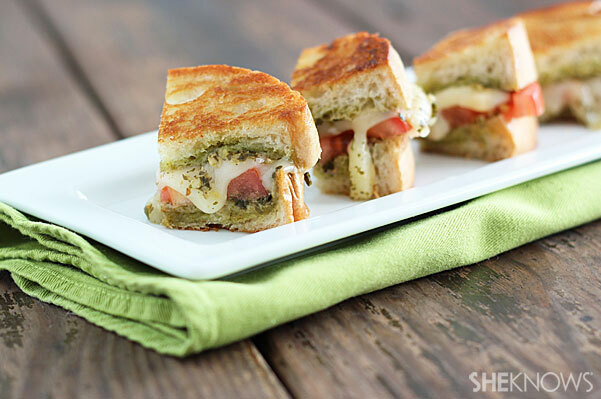 Spread the pesto evenly on the inward sides of the slices of bread. Place the mozzarella and tomato between the slices of bread and season with salt and pepper. Grill until golden brown, for approximately 3 minutes on each side. Slice the sandwich evenly into fourths. Brush the outward side of each bread slice with melted butter. 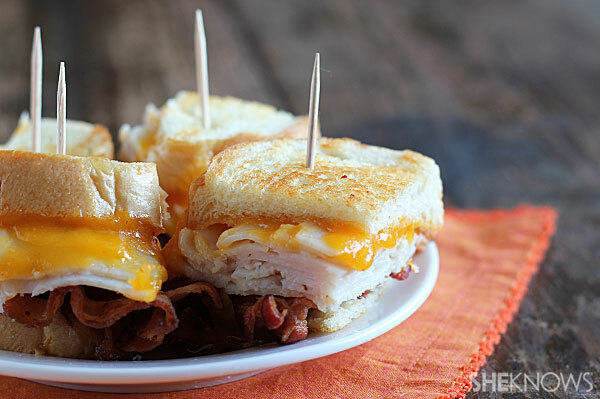 Layer the bacon, turkey and cheese between the slices of French bread. Grill until the bread is golden brown and the cheese is melted, for approximately 3 minutes on each side. Slice the sandwich evenly into fourths. Heat the olive oil in a nonstick skillet over medium heat. Add the sliced mushrooms and sprinkle with garlic powder. Saute until the mushrooms are tender, for approximately 3-5 minutes. Place in a small bowl and set aside. Brush the outward sides of the slices of bread with melted butter. 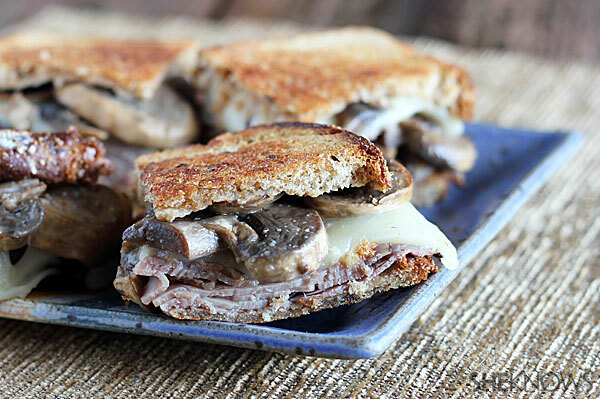 Layer the roast beef slices, cheese and mushrooms between the slices of bread. Grill in a heated nonstick skillet over medium heat for 3-5 minutes or until the bread is golden brown and the cheese is melted. Slice the sandwich evenly into fourths.